It’s been a bit of a slog in 3d learning land the past week or so. My plan was to make a super simple mesh, rig it up, and try a little animation. But there was some ambition creep, my simple mesh got fingers and articulations, I experimented and improved my tutorial rig a little, and I spent all yesterday trying to figure out what the best low poly topology for fingers would look like. I have absolutely nothing cool to show for all that, but I learned a lot! 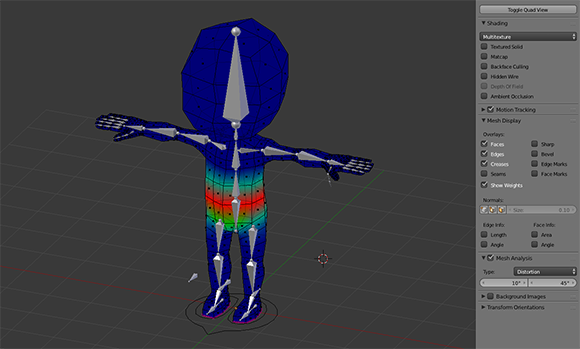 Next I’ll finally have something to animate with, and I might try scrapping this mesh to see if I can refit this rig to a character with different proportions. I wasn’t at all excited about learning Blender at the start of all this, but it really does do everything Maya did for me. Some things worse, but a lot of things better.